The landscape around Halifax is a blanket of rolling hills and moorland, dotted with small towns and villages that give a nod to both its industrial and its farming heritage. There are plenty of striking views at any time of year and, significantly, there is also a spot where locals can interact with their vegetal environment and enjoy its bounty …and that delicious abundance is free! That’s Incredible Inspirational Gardens of Todmorden! The residents of Todmorden have memories passed down through the generations. They are of those lean years of the first half of the twentieth century. Two devastating world wars and economic depression meant even basic food was often hard to come by, for local families as well as those in the rest of Britain. These days there are still those in need, and others who just want to grow their own produce. Incredible Edible Todmorden is a Community Benefit Society. It’s run by local volunteers for the benefit of those living in the town, and for the education and inspiration of those living much further afield. The group are not supported by public money. They haven’t taken any grant funding for over four years. Donations from talks and tours provide all the cash they need to continue their project, which has now grown shoots internationally. The group has run 60 tours for over a thousand visitors who were interested in doing something similar in their own towns and cities, and those food-loving tourists shopped and lunched in town, and added to the wider local economy. 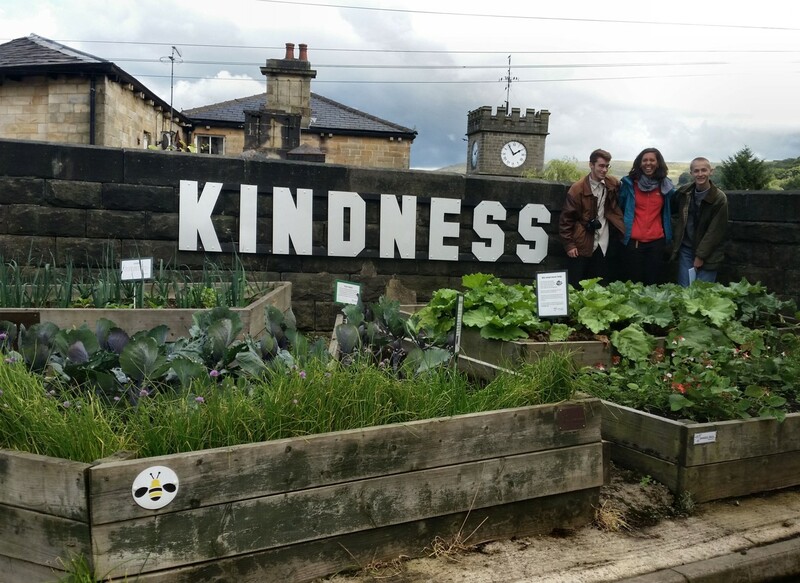 The Incredible Edible Todmorden group ‘borrow’ land that has been unused, underused and misused. That amounts to quite an area, even in this small borough. 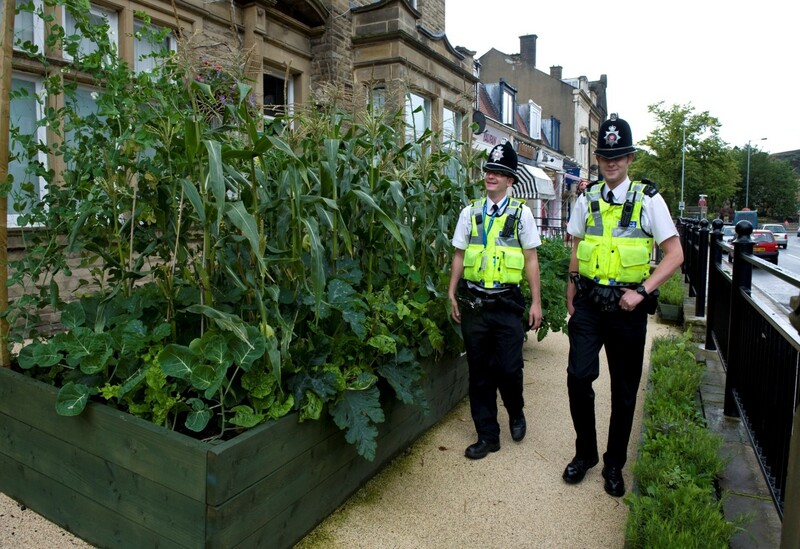 There are large planters on the police station forecourt. Herbs flourish along the canal towpath. The Apothecary Garden at Todmorden Health Centre has its pots of healthful greenery. Car parks have their harsh lines softened by leafy veggies. Yes, the planting does indeed improve the aesthetics, but it plays a more important role in the community. The local kids now know where food comes from and about planting, growing and cultivating. The produce is free to anybody who would like to gather it for their own use. There are classes giving advice about how to prepare and cook the healthy abundance.